Looking for an expert in insurance for Fire Protection Contractors? At Allied Insurance Managers in Rochester Hills, Michigan, we have developed an unmatched level of expertise. Having a solid understanding of this highly specialized industry has made us uniquely qualified to help our clients develop risk management programs that are customized specifically to the fire protection industry. 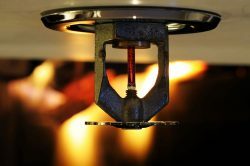 We have an excellent reputation with our Fire Protection Contractor Insurance clients throughout the Midwest (Illinois, Iowa, Indiana, Kansas, Kentucky, Michigan, Minnesota, Missouri, Ohio and Wisconsin). In 2014 we expanded our Fire Protection Contractors Insurance Program in to 30+ other states including Pennsylvania, Texas, California, Nevada, Utah, Arizona, Florida, Tennessee, Alabama, Georgia, North Carolina, South Carolina, New York, Maryland, New Jersey to name a few. Our goal is to become the leading independent insurance agent nationally for Fire Protection Contractors Insurance. We are actively involved in NAFED and the NFPA. You will often see Jayson Bass at a NAFED or NFPA conference! As an independent agent, we represent ALL of the top insurance carriers who offer insurance products for Fire Protection Contractors Insurance. On any given day we have a pulse on this specialty fire contractors insurance market. Having the expertise and the relationships with key underwriters in this specialized marketplace allows us to negotiate the best possible terms and conditions for our Fire Protection Contractors. Allied Insurance Managers is an easy choice when it comes to protecting your Fire Protection business! We want to be your Trusted Advisor.